Aloha Pacific FCU is For The Keiki! 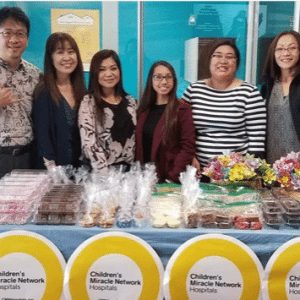 Mahalo Aloha Pacific Federal Credit Union leaders and members for your continued support of Kapiolani Children’s Miracle Network. 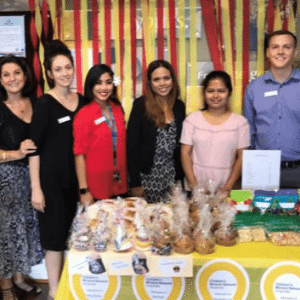 Leaders of the organization visited the playroom at Kapiolani Medical Center to present a check for $10,514.58 and had a chance to see the impact of their year-round fundraising. 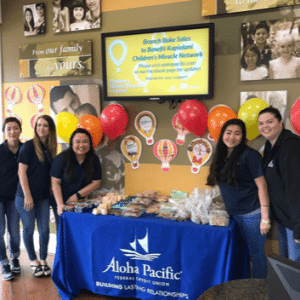 Aloha Pacific FCU branches hosted bake sales, movie days and collected coins throughout the year. 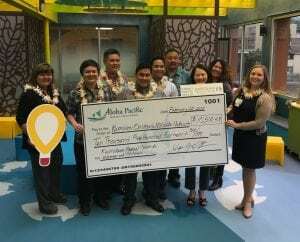 Donations, like the one Aloha Pacific FCU made, go towards funding the Child Life program and playroom, which helps to educate kids during their hospital stay and provide a safe space for the m to play! Next post: Celebrate Children’s Hospitals Week!